If you found this site you're probably here to research CBD products, guides, and reviews. One of the biggest reasons people visit our site is to help figure out what's the best CBD company to purchase from or who has the best CBD oil. The reality is every single brand claims they have the best products. But how do you choose which CBD company is the one you should buy from? Organically produced hemp is not the cheapest option, but it’s 100% recommended if you want results. The most efficient CBD oil for the body contains nothing, but pure CBD extract without fillers or unnecessary additives. You want to make sure the Cannabidiol is infused with hemp and free of any and all pesticides. Lower quality CBD can cause harm to the lungs because of the contaminants, and by inhaling pure quality consumption of CBD ensures a healthy experience. All companies are aware of the non-psychoactive components of CBD and its effects, but most of them fail to remove dangerous chemicals such as Propylene Glycol (PG). Always research the brand and check the ingredients to make sure they are natural. If you are in doubt about which CBD oil to purchase, do a quick research of the brand's products, ingredients, and customer reviews. Start by looking at the company’s website and check other trusted sites to find out their products history. You can find out what other users have to say about the products' benefits through sites like CBD Nerds. From there you will get a clearer sense of which CBD oil brand is right for you. Check out the company’s website and see if they have customer support available. Typically companies selling products with good customer service are reputable. CBD companies with the best customer support tend to have options like live chat to help answer any questions or concerns. Are they GMP certified? Good Manufacturing Practice is a system that ensures products are consistently produced and controlled according to quality standards. This is an important part in the manufacturing of pharmaceutical products. This is just another way to assure the product has the strength, identity, and purity that appears on its label. This is very important before you make any purchases. Check to see if the entire production process of the oil is generated by the CBD oil company. From cultivation, extraction to laboratory testing and sales, CBD companies can be links in the chain of CBD production. Many CBD manufacturers, distributors, and companies buy their plants from other growers or they buy the oil in bulk, repackage it and sell it as their own. This can be dangerous for the consumer and companies can’t guarantee the whole manufacturing process. Examples of seed to shelf brands include Endoca and Charlotte's Web CBD. 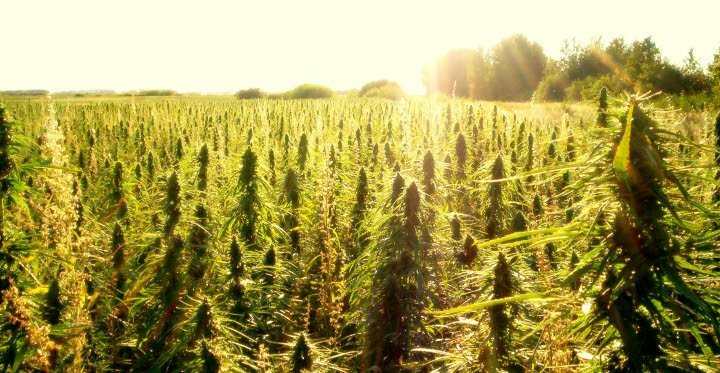 Industry experts know that purchasing cheap hemp from other countries delivers profit, but lacks quality. When cheap hemp is used, seed strain is unknown, and pesticides are infused, an inconsistency in quality is produced. Not only inconsistency, but harmful ingredients create unnatural effects. Organically grown CBD use third-party lab-tested accreditation to confirm great quality. Examples of quality brands that sell organically grown products include Bluebird Botanicals and Nuleaf Naturals. Are the company’s lab analysis reports published online? Good lab analysis check for pesticides and other unsafe chemicals. Users are entitled to know exactly what they are consuming and lab results check for impure organisms such as bacteria, fungus, mold, and heavy metals. Lab test verifiability helps identify impurities and provides transparency.